President Donald Trump might be in jail by the time Election Day comes around, Massachusetts Democratic Sen. Elizabeth Warren said on her first full day of campaigning as a declared presidential candidate. "Well come on. How many investigations are there now? It's no longer just the Mueller investigation," Warren said. "They're everywhere and these are serious investigations, so we'll see what happens." Asked whether she believes Trump should be impeached, the senator said it is important to first see Mueller's findings. A Warren campaign official told CNN that the presidential candidate does not plan to engage in every single tweet or attack from Trump as the 2020 season ramps up. Much as she has been doing over the last month, Warren will continue to ignore much of his "every day efforts to divide and distract," the official said, noting that Warren wanted to use her first event of the day to explain her rationale for this strategy. It'll be a fun ride for the next 21 months. That’s a nice troll job by Warren. She want and needs Trump to keep her name alive. InfoWars says three cities will indict Trump in March. Its getting nuts! re: Warren: I don't want to talk about Trump too much because he might be in prison by 2020Posted by shoelessjoe on 2/10/19 at 6:03 pm to HailHailtoMichigan! She has as much of a chance of becoming an American Indian as Trump has of being in prison on Election Day. re: Warren: I don't want to talk about Trump too much because he might be in prison by 2020Posted by Possumslayer on 2/10/19 at 6:05 pm to HailHailtoMichigan! Gonna need some pics of this campaign crowd. 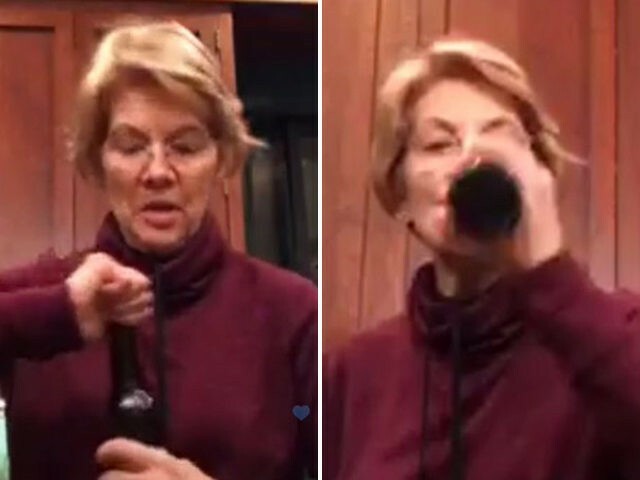 re: Warren: I don't want to talk about Trump too much because he might be in prison by 2020Posted by Possumslayer on 2/10/19 at 6:09 pm to HailHailtoMichigan! He shoots hillary in the kunt with a mossberg, nothing happens....? And pretty sure means you don’t know. She's the female Jeb. Watch Trump humiliate her. Running on repeat on CNN. CNN loves impeach him news. She reminds me too much of Dana Carvey's Church Lady character and it's ridiculous. What an irresponsible thing for her to say, given that there has been nothing criminal found on Trump’s part.